Homewood Home Depot...on Halsted st. Sold out of snowblowers!! 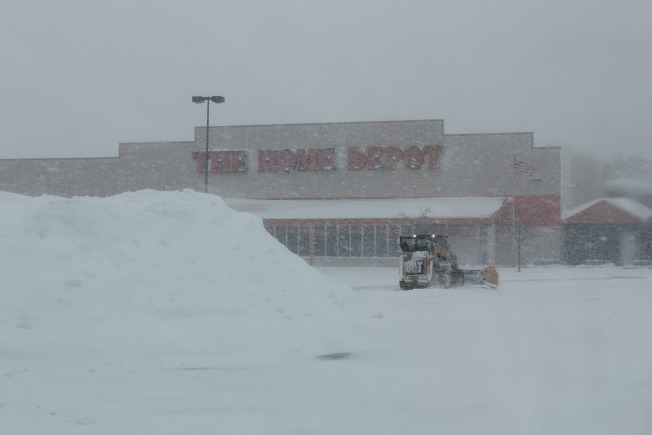 Bloomfield firefighters and police responded to a partial roof collapse at a Home Depot Warehouse and distribution center on Monday night. The warehouse, located at 74 Griffin Road, is several miles from the actual store. No injuries were reported. It appears the building was unoccupied at the time of the collapse.